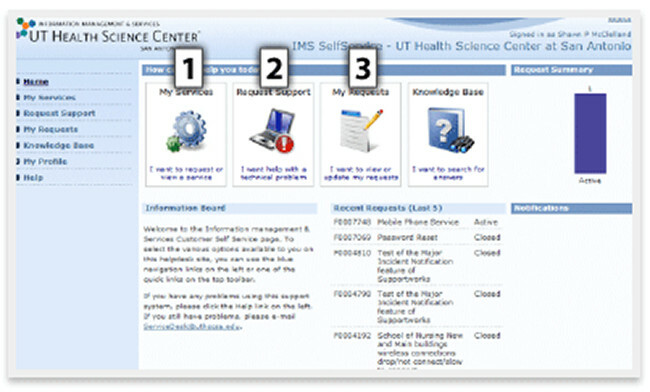 UT Health San Antonio Employees are able to utilize the IMS Self Service Portal to enter requests from IMS. Enter New Services for phones, pagers, printer setup, networking drops, and other services. Request Support for repair and troubleshooting issues on computers, desk phones, wireless connections, etc.